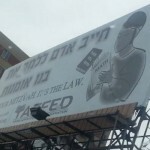 A new bill in Albany would enable parents and others to demand New York State enforce the legal requirement that religious schools like those that 11,000 Kiryas Joel children attend provide adequate instruction in subjects such as English and math. Current law leaves it to public-school superintendents to verify that students attending private schools in their districts receive a “substantially equivalent” education in secular subjects. Under the proposal introduced by three Rockland County lawmakers, people who feel that standard is not being met could file a complaint with the state education commissioner, who would investigate and could compel one of several prescribed remedies. Assembly Democrats Ken Zebrowski and Ellen Jaffee, each of whom represents part of the Town of Ramapo, introduced the bill in December, shortly after a federal lawsuit was filed against four Hasidic yeshivas in Ramapo that charged that the schools were shortchanging students by focusing almost exclusively on religious studies. State Sen. David Carlucci, a Democrat who represents most of Rockland County, brought the legislation to the Senate this month. Click here to continue reading at The Times Herald-Record. If the county wants to regulate our private schools, they should give us all grants as public school students. This is not the first time that a Moser (or a Moster) tried to use the goverment to corrupt the Yiddishe education of Jewish schools. We faced this by the Greeks, the Romans, the Russians, the Soviets and time and time again. Yes, your predecessors said the same thing about Greek. The problem isn’t learning the language and to “know mat[h].” The problem is taking time from limudei kodesh to do so. There are fine after-school programs in our community for English studies; but chinuch itself should be al taharas hakodesh. CHILDREN MUST LEARN A LANGUAGE!!!!!!! It’s child abuse to do anything else otherwise and give me every quote in the world I don’t care! I grew up OT part ULY ignorant and I won’t let the same happen to my kids!!! They are learning a language – two, in fact: (classical) Hebrew, and Yiddish. Again, if you feel your children need to know English, then fine – enroll them in one of the after-school programs I mentioned. That will be a lot more constructive than railing about “child abuse” and tampering with the curricula of our schools. 1) As long as Yeshivos accept public money, then they have a “partner” in their business who has a say. Plain and simple. 2) Why is it holy to remain illiterate in the language, and skills of the land? 3) The results of their current lack of secular education, are institutional, public assistance in many forms (Welfare, WIC, Medicaid, Section 8, etc). Why is that the goal? Cut out the money, and the system will change automatically by itself. The Yeshivos should be compensated for any educational subjects forced on them. If many people are sending their children to after school programs to get a secular education, what is the problem?? Why should these young children not have those same classes in school during the day and some more time to spend being kids or at home enjoying quality family time??? For one thing, having it as an extracurricular activity conveys the message that that’s exactly what it is: extracurricular, something outside a regular education, not important enough to be taught at school. Whereas the moment you include it as one of the subjects taught at school, you are telling the students that this is important too, that we are teaching “torah im derech eretz” ch”v, a shita that our rebbes not only completely rejected, but claimed that even Rav Hirsch didn’t really believe in. 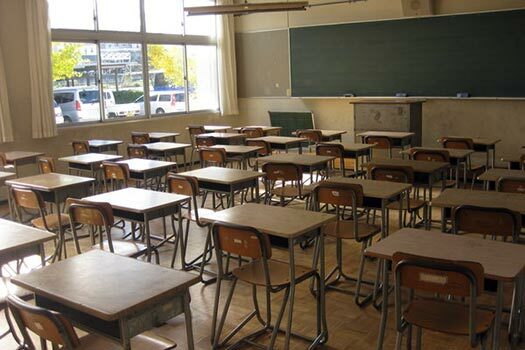 That is why in those schools that do teach limudei chol because they have no choice, the Rebbe insisted that the limudei kodesh must occupy the beginning of the school day, when the children’s minds are fresh, and the chol must come second, at the end of the day when they are tired. But that is only bedieved; lechatchila they should not be there at all. So basically what you’re saying is that the life skills that a basic secular education provides should be reserved for those who are well off. We all know that the after-school programs cost as much as regular tuition so if someone cannot afford double tuition (most can’t afford the primary tuition) they cannot provide their children with an education. It further divides the haves and have nots in this neighborhood. “As much as regular tuition”? Not by a long shot. Regular tuition (at Oholei Torah; I don’t know about the other schools) is around five to six thousand per child; BLAST (again, I can’t speak for any other programs) is around a third of that. I’m not saying it’s easy – I have my own struggles with this as well. But I want my children to have the most comprehensive grounding in limudei kodesh that they can, and if that takes sacrifices then it’s well worth it. Torah is, after all, di beste sechora. If you as a Parent want your children to have a Secular education as well as some torah education there are many schools who provide that. However to demand that a Lubavitch Mosed (or any other Chasidishe Yeshiva) discard the 300 year old derech we have used to teach our children, who grow up to be Rabbis, Shluchim, and Teachers, but also Doctors, Lawyers, and Accountants is frankly riddiculous.